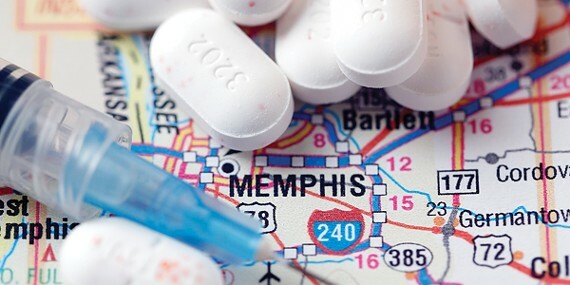 Prescription drug abuse is epidemic in Memphis and nation-wide. *Joseph, a 33-year-old Memphian, had developed a habit. He consumed more than 20 prescription painkillers a day. One day, his daily ritual took a turn for the worse. "I had taken, like, 20 Hydrocodone and chased them with damn near a fifth of vodka," he recollects. "That's pretty much how I would sleep. I guess I took too many [that night], because I woke up in the ambulance." Joseph typically took painkillers throughout the day to maintain his high, but on that particular night, he popped 20 of them over a two-hour span. He wasn't trying to achieve euphoria; he was trying to commit suicide. His attempt was nearly successful: He overdosed and was found on the floor by a relative, who alerted 911. Joseph isn't alone in his addiction to prescription drugs. There are 221,000 Tennessee adults who have used prescription opioids (painkillers) in the past year for non-medicinal purposes, according to Tennessee Department of Mental Health and Substance Abuse Services (TDMHSAS). Of those 221,000 adults, it's estimated that 69,000 are addicted to painkillers and require treatment for prescription opioid abuse. Joseph abused Hydrocodone every day for three years. He was introduced to the drug via a prescription, after suffering four broken ribs from a near-fatal car wreck. Over time, his addiction grew into a $1,500-a-month habit that almost claimed his life. "At my highest, I probably took 25 pills over the course of a day," Joseph says. "I would take four in the morning, four at lunchtime; at nighttime, I'd pop another four, go out partying and take another five. For a minute, you're telling yourself, 'It's prescription. It's straight. If I take one or two more, it's no different from taking Tylenol.' Before you know it, you're in a lot deeper than what you thought." Prescription drug abuse has grown into a nationwide epidemic. 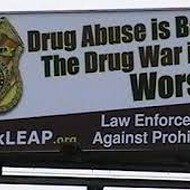 It's the fastest-growing illicit drug issue in the country, according to the Drug Enforcement Agency's "National Drug Threat Assessment." Two and a half times more Americans currently abuse prescription drugs than those using cocaine, heroin, hallucinogens, and inhalants combined. According to 2011 National Survey on Drug Use and Health data, 4.5 million Americans ages 12 or older use prescription painkillers non-medicinally. And around 100 people are estimated to die from prescription drug overdoses every day, according to the National Institute on Drug Abuse (NIDA). This makes the misuse of medication more severe than guns, car accidents, and suicide. Recognizing that so many lives are being ruined by the epidemic, Governor Bill Haslam has introduced "Prescription For Success," a multi-faceted plan to combat prescription drug abuse. TDMHSAS, in collaboration with sister agencies, developed the plan, which highlights preventative measures being collectively taken by law enforcement, substance abuse facilities, and health resource communities statewide. Doug Varney, commissioner of TDMHSAS, said his agency's statistics reveal that more than 70 percent of people who use prescription drugs for non-medicinal reasons get them from a friend or relative. He said the accessibility of prescription drugs and the wide array of people abusing them makes it an issue that he's not previously seen. "It's not like gangs and organized crime. It's totally different," Varney says. "It's people that normally have never even engaged in drug activity or anything like that. But it's quickly changing, and we're worried about that, because once people get addicted, no matter what your background is, you'll do pretty much whatever you have to do to get the drugs. People are stealing from relatives, selling their personal belongings, [and] losing their property. Doing things that they never would have imagined." Among the most common prescription drugs that are obtained illegally in Shelby County include the painkillers Oxycodone, Dilaudid, Lortab, and a benzodiazepine called Xanax, which treats anxiety and panic disorders. Depending on your race, the part of town you're in, and your relationship with a dealer, the prices for obtaining these drugs illegally can vary. According to the Memphis Police Department, on average, one 10-milligram tablet of Oxycodone can be purchased for $10. A Dilaudid pill ranges from $15 to $25. Lortabs range from $5 to $7 a pill, and Xanax pills can range from $6 to $8. The illicit prescription-pill trade is a multi-million dollar industry. Dealers vary in race and lifestyle. Even some doctors and pharmacists have been charged and penalized for illegally distributing prescription drugs. Edward Stanton, U.S. attorney for the Western District of Tennessee, is heavily involved in the local and regional task of penalizing individuals who illicitly distribute prescription drugs. "We've been very aggressive to make sure that individuals cannot hide behind a white lab jacket and pharmacy degree," Stanton says. "It's not just the person that's pushing these pills on the street corner or getting them illegally." In April, the U.S. Attorney's office helped indict more than 15 people involved in an illegal prescription drug ring responsible for distributing Dilaudid and Oxycodone. 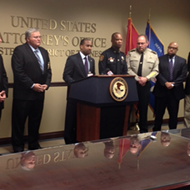 And in March, 18 members of another Shelby County drug ring were indicted for illegal possession of Hydrocodone, Xanax, Lorazepam, Oxycodone, and Morphine. In February 2013, Larry Boatwright, a Germantown pharmacist, was sentenced to more than 188 months in federal prison for illegally distributing Oxycodone, Hydrocodone, and Xanax to people without valid prescriptions. In late 2010, Cordova physician Daniel Fearnow received 22 years in federal prison for writing more than 25,000 illegal prescriptions for similar controlled substances. Stanton says over the past three to five years, there has been a tremendous increase in prescription drug abuse in Shelby County. He attributes this to people viewing prescription drug misuse differently than other illicit drug activity. "There's no pipe, needles, [or] syringes. 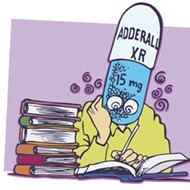 It's just a pill," Stanton says. "That's how it starts. You're not smoking, snorting, [or] injecting, so it's kind of like, 'Let me just pop a pill and feel good.' The end results are, a lot of times, untraceable. "You really can't track and say, 'This part of town or zip code is where you see more.' We see it across all socioeconomic [statuses], from the inner-city of Memphis to the suburbs to the rural areas," Stanton says. Another source for prescription pills is online distributors. The drugs are shipped in bulk from other regions and overseas through FedEx, UPS, and other facilities. Prescription drugs are also being acquired from "doctor shopping," in which a person utilizes several medical practitioners to obtain multiple prescriptions. In 2010, the Centers for Disease Control and Prevention reported there were 38,329 drug overdose deaths nationwide. Prescription drugs and other medications were responsible for more than 22,000 of those deaths — surpassing traditional illicit narcotics, including cocaine and heroin. The Shelby County Drug Court helps provide an alternative to those who are arrested for crimes motivated by drug dependency. 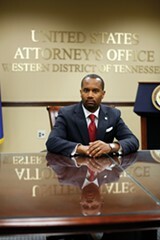 Rather than send an offender to jail, they offer them the opportunity to enroll into the Drug Court Treatment Program. 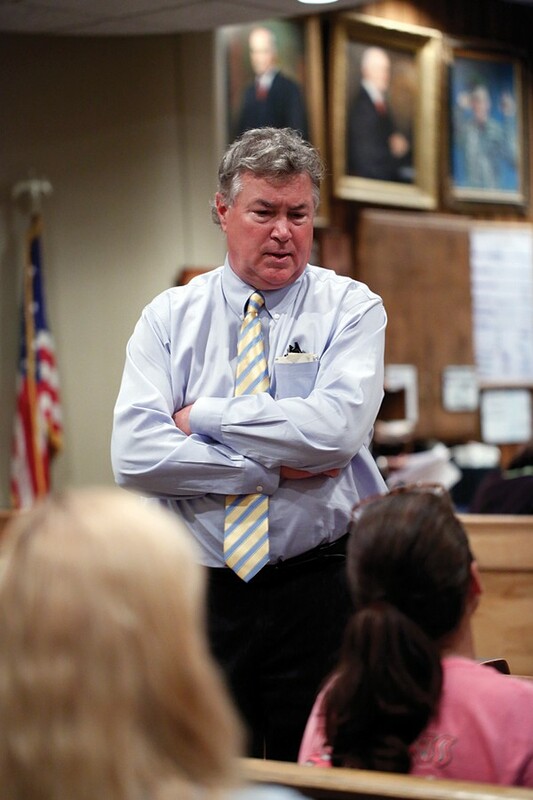 "What we try to identify are the people we feel like are there because they're addicts," says Judge Tim Dwyer. "If we feel like they're a drug addict and they have a non-violent past, we give them an opportunity to go into my program, usually from 12 to 18 months. We send them through a treatment provider. They're also required to go to [Alcoholics Anonymous] or [Narcotics Anonymous] meetings [and] have to be drug-screened every day. They come see me every week to make sure that they're doing what they're supposed to do in the program. If they successfully complete the program, their felony drug charge gets cleared off their record. Of course, if they fail, then they go to jail." Since its establishment in 1997, more than 2,000 addicts have graduated from the Drug Court Treatment Program. There's a 38 percent recidivism rate for graduates, compared to 80 percent for non-participants, according to a study conducted by the University of Memphis. Nearly 300 people are currently enrolled in the program; 14 percent are prescription drug abusers and another 18 percent are heroin addicts. *Ted, 21, is also familiar with prescription drug addiction. He started off smoking marijuana, but soon began abusing prescription drugs. "When I took them, I felt like a million bucks," Ted admits. Xanax became Ted's drug of choice. He says it helped him stay level-headed and calm. But over time, his recreational use of the depressant blossomed into a nightmare, eventually leading him to attempt suicide. "I went to my drug dealer and I bought him out of everything he had, and everything he had wasn't enough to kill me," Ted says. "It was at least 30 Xanax, probably more. I passed out, and the only thing that saved me was that my mom happened to come by my house. I had already been asleep for 36 hours. I don't even know how my heart was still beating." Ted still struggles with his addiction. He estimates he spends around $400 a month on Xanax. If he doesn't have the drug, he says he experiences anxiety attacks. He's managed to stay clean for a few months, off and on. But his progress was derailed when a friend died in a car wreck. He relapsed and has battled the addiction ever since. "At this point in my life, I live day-to-day, trying to figure out something worth living for," Ted says. "I haven't figured it out yet, so Xanax is kind of my resort. It's my plan B. That euphoric feeling makes me feel better about myself. 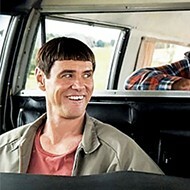 If I don't take it, I feel like, what's the point in living life." 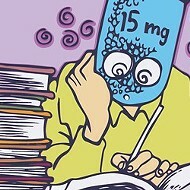 Young adults aren't the only ones who struggle with prescription drug abuse. Many senior citizens are burdened by addiction to pills. According to NIDA, 300,000 seniors abuse their prescribed medications, including many who do it to cope with various injuries and ailments. John, 60, was prescribed painkillers, such as Lortab and Oxycodone, for back problems. After being on the painkillers for a couple years, he became dependent. "I take 10 or 12 a day, and sometimes more," John says. "I can't go a day without them. I've got to have them. If I don't, I can't do anything that day. The pills help the pain, but then they create a habit. I've been taking them every day since 2002." 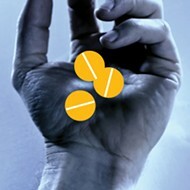 A 2012 report by the Substance Abuse and Mental Health Services Administration indicates that more than 2.1 million people ages 12 or older have a dependence on painkillers in the U.S.
Casey Laizure, a professor in the University of Tennessee Health Science Center's department of clinical pharmacy, says there are several factors he looks for to determine if a person is an addict. "When it starts interfering with your life, your interpersonal relationships, your ability to hold a job... you have negative consequences from it but you still continue to use it, then I start defining you as being dependent on that substance," Laizure says. Once it's determined that a patient has become addicted to a substance, Laizure says, they're encouraged to enroll in a drug-treatment program. But ultimately it's up to the person to want to shed their habit. For those who aren't legitimately prescribed prescription drugs by doctors, the habit can become very expensive. This motivates some to experiment with heroin, which has the advantage of being significantly cheaper. Lieutenant Chris Harris, narcotics division supervisor for the Shelby County Sheriff's Office, said there's been a large flood of heroin into the community over the past few years. The accessibility of heroin, and its price range — around $10 a hit — makes it appealing to people hooked on expensive prescription drugs. "If you've got someone that's got a 20-pills-a-day habit, they can't afford it," Harris says. "The deal with heroin is it's much cheaper. It's the same opioid-based high, and they can get it for $20 to $40 a day, versus $200 to $300 a day. I've never met a heroin addict who says, 'I went straight to heroin.' It always started from prescription painkillers." The presence of heroin, a highly addictive opioid drug processed from morphine, has increased, and not just in Shelby County. In 2011, 4.2 million Americans ages 12 or older had used heroin at least once, according to NIDA. In 2010, there were 12 heroin-related deaths in Shelby County. In 2011, it decreased to 10. But in 2012, the number spiked to 35, and it increased to 42 in 2013. Thus far in 2014, there have been 14 confirmed heroin death overdoses and several cases are pending further investigation. "We've had so many overdoses. 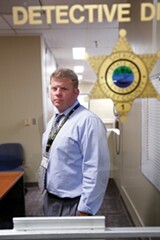 And what's unfortunate is it breaks up families," says Lieutenant Kevin Helms of the Shelby County Sheriff's Office. "Prescription pills lead into heroin the majority of the time; in Memphis, that's the trend we're seeing. We've been to some very poor houses and found overdoses [and] to some very rich houses and found overdoses. And the effect is, no matter what race, gender, or how you are physically, somebody is affected there, and it's usually a parent. When they go into a room and find their child dead, sitting with a tourniquet around their arm and the needle still hanging out of them, and there's absolutely nothing you can do." As prescription drugs and heroin continue to ruin lives, nationwide movements are being implemented to fight the epidemic. Pharmacies are making policy changes, including monitoring staff and customer activity, to curb prescription drug abuse. Local and state governments are introducing comprehensive plans to collectively battle the epidemic. And more treatment programs and facilities are being established. But it is ultimately up to individuals. "My personal use has resulted in a lot of dumb decisions," Ted says. "I've been to jail a couple times. I've [messed] up a lot of good relationships by taking pills. I've done a lot of [messed] up things taking pills. This isn't the lifestyle [you want]. You don't want to wake up and depend on something physical, especially a pill, to make you feel like you can get through the day."